From The Financial Times Monday 14th Feb 2011. On Monday France became the first country to advise its nationals to leave Tokyo. In a notice on its website, the French embassy also cited a warning from Japan’s meteorological agency about a possible large aftershock in the Kanto region around Tokyo, following Friday’s 8.9-magnitude earthquake and tsunami that devastated the north-east of Japan. “The probability of such an event in the next three days is 70 per cent, and 50 per cent in the two days following,” the embassy said. As a growing stream of expatriate families and even business executives made plans to leave Japan or relocate to cities west of Tokyo such as Osaka, France’s move highlighted growing concerns among embassies about the safety of nationals. 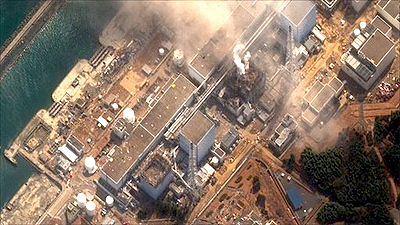 The reports on Monday of a second explosion at a damaged nuclear power plant on Japan’s earthquake-ravaged north-east coast deepened fears of radioactive contamination, although many nuclear experts have dismissed such concerns. Further unnerving Tokyo’s jittery residents, Tepco, Japan’s main power supplier, announced that rolling power cuts would kick in from Monday night in some areas of Tokyo.